I LOVE PARIS IN THE WINTER….. This annual January trip used to be my retreat from the world, a time of solitude, reflection and self exploration, sometimes facing up to and overcoming my demons, in a place that was alien but where I felt comfortable. Ha! Ha! instead I find that I am meeting people from all over the wolrd and socialising in a way I never have done at home. Which ironically is the biggest demon of all that I have faced up to….fear of socialising! Fantastic! Still this gives me an excuse to return alone, maybe in a few weeks! So what have I been up to in Paris? 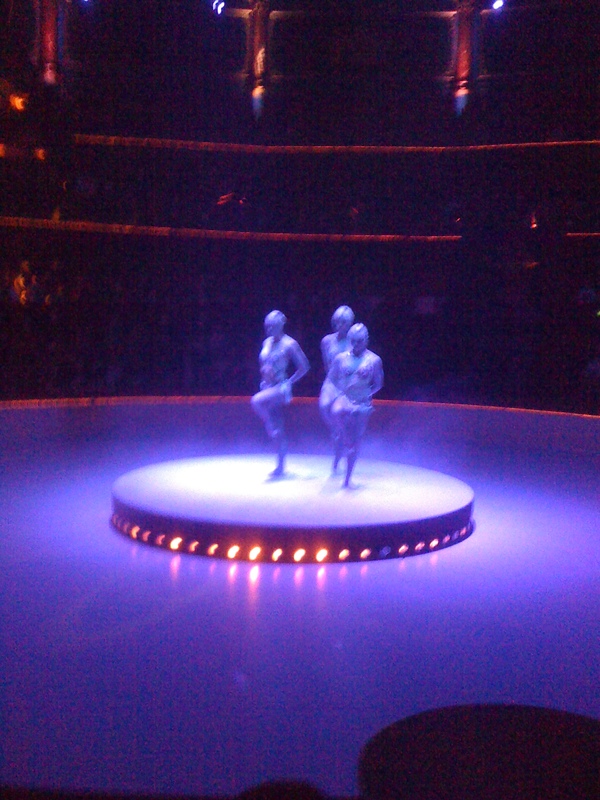 well there was my annual trip to Cirque d’Hiver. 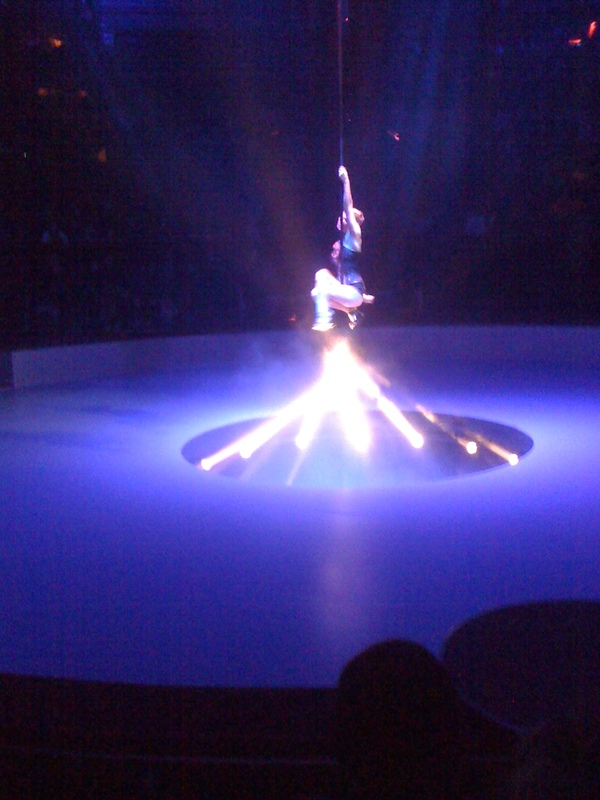 I know, I know, not quite PC, with all the animals etc but this traditional highly professional circus is part of my Paris winter experience. In the past they have had lions, who all seemed very happy and healthy and even emotionally fond of their trainer. 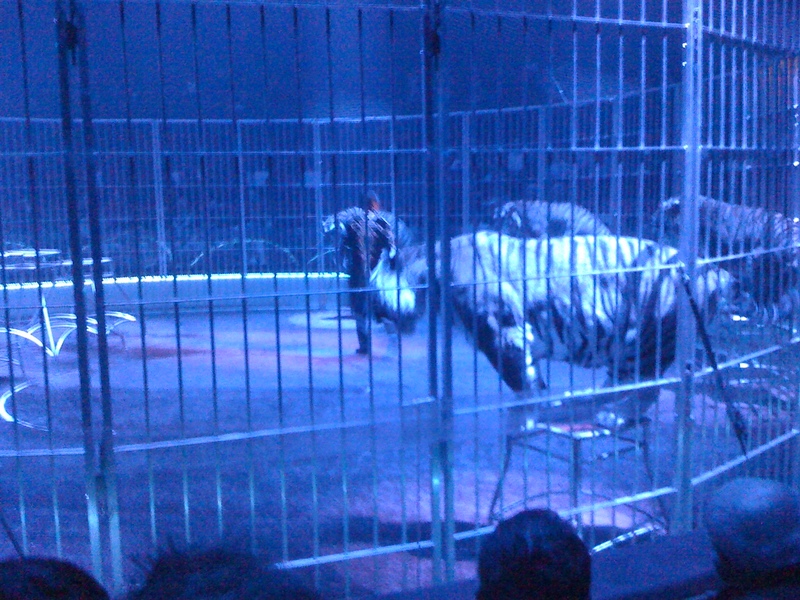 But this year we saw tigers who looked healthy but seemed grumpy with ears back and snarling a bit and did not seem to like the trainer very much…..neither did the girl he threw knives at further on in the programme! LOL! Point is that these animals are probably several generations of captive circus animals, so setting them free in their natural habitat, would probably be like asking me to live in a wood and forage for berries, so maybe they are better off where they are. I am not sure what the answer is. Stop breeding animals in captivity for this purpose I guess. Certainly there are less animals in circuses these days. In previous years there have been elephants, Lamas and birds.. 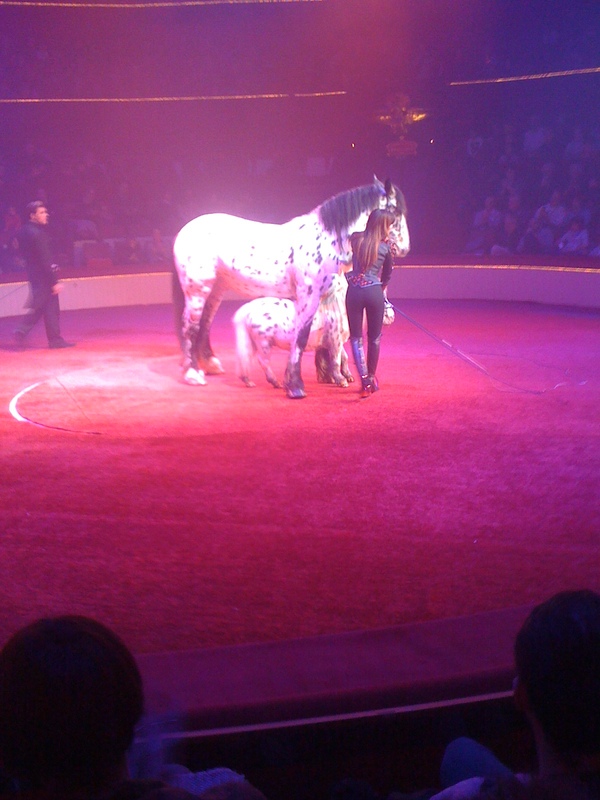 In this circus there were horses and dogs. Both not wild animals and training no different than dressage or sheep gathering, so I didn’t think they were being abused. Still here are some pictures. I love the live orchestra. This beautiful building was built in 1851 in the shape of a circus tent, in honour of Napolean 111, so the aristocrats could watch circus in comfort in the winter. 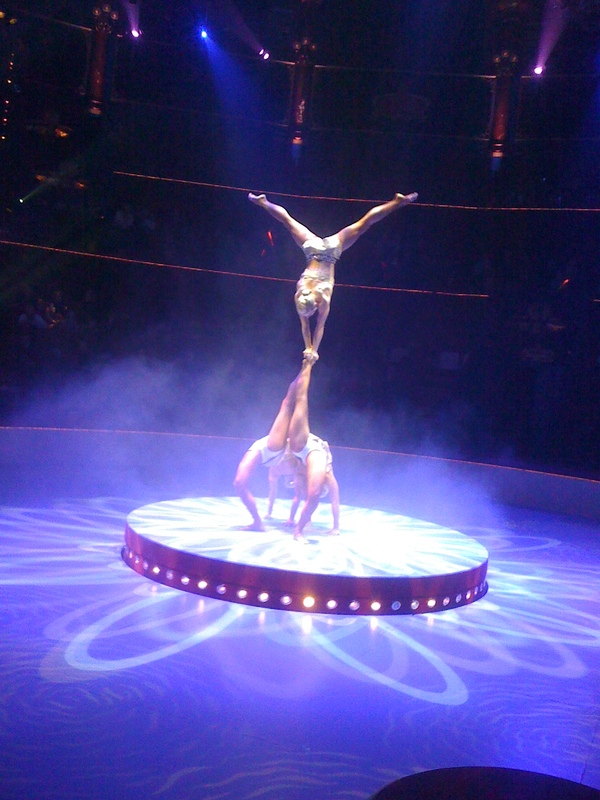 The annual January circus showcases the best acts from all over the world. This lady with the horses had the most amazing figure! If that is what dressage does for you, I am taking it up! They have a different programme every year and this did not disappoint. 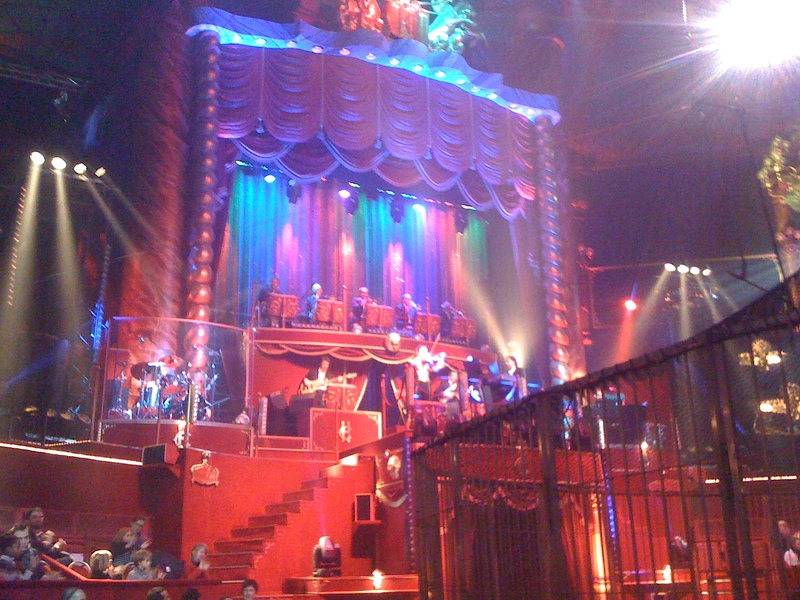 Tags: circus, cirque Bouglione, Cirque d'Hiver, January retreat.. Bookmark the permalink. what fun! I’m glad this is still going on and that you enjoyed it. Long live fun! Hello Joseph. Yes good to have fun in Paris! How fun Denise! The things I’ve learned through reading blogs are amazing. 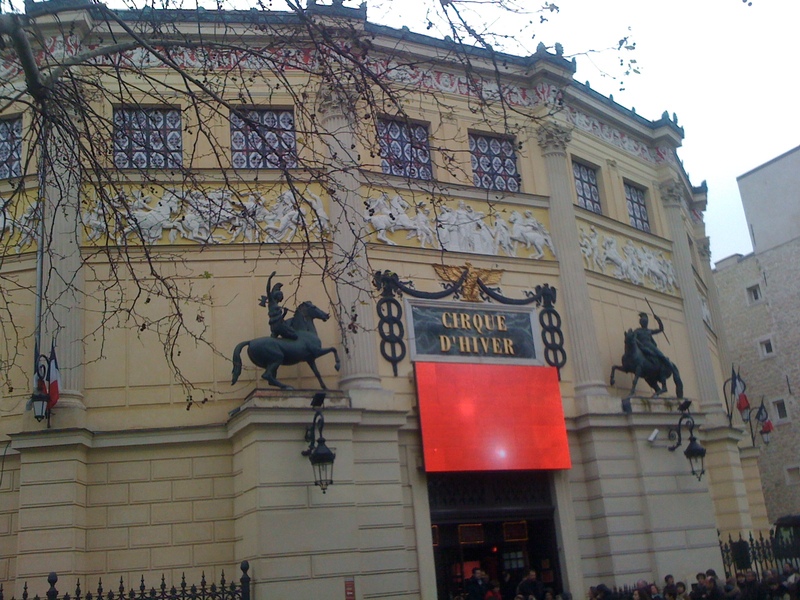 Have only been to the Cirque d’Hiver once when you and I went – loved it and would make another trip to Paris in the winter just to see this show! Glad you had such a good time – even if you did get some snow! Yes, nice memories of our trip to the circus. They seem to have done it up a bit. new seats. Glad you’re enjoying socialising. Is it a weird “Northern English” hang-up I wonder, because I’m a bit like that and my husband is worse! Maybe it is a “northern English ” thing. I get very uncomfortable in gatherings of more than about six. Getting better though. Thanks for dropping by.